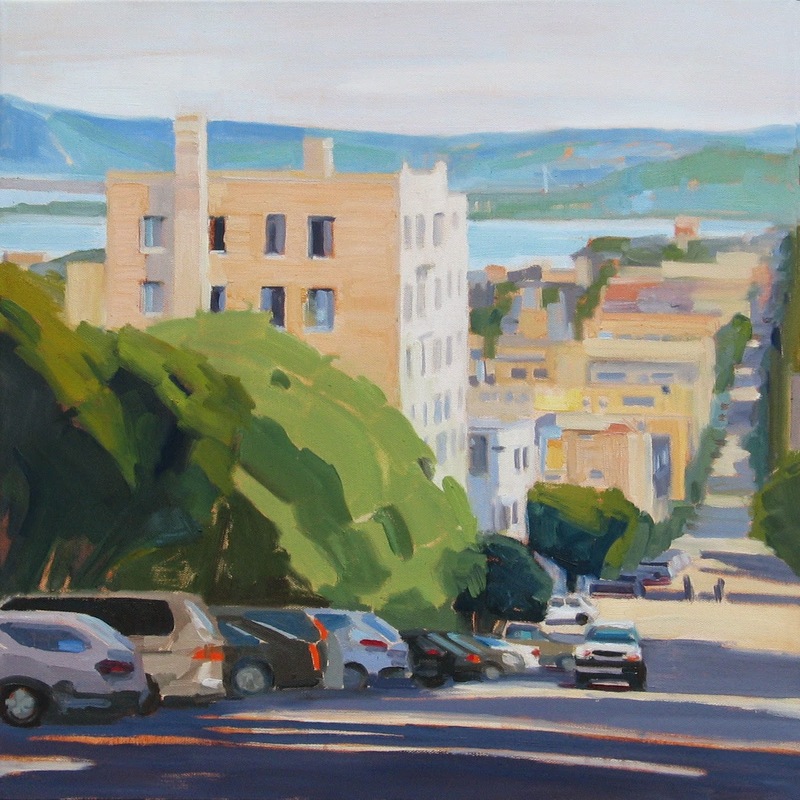 I painted recently in San Francisco on the corner of Hyde and Chestnut Streets. 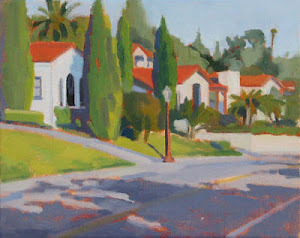 I have painted at this corner before and decided to paint the view looking down Chestnut Street. The Bay Bridge is in the distance where it crosses Yerba Buena Island. Across the bay are the hills of Oakland and Berkeley.